Enjoy Gillray’s seasonal market menu, featuring the very best of British produce! Gillray’s is best known for serving the best Aberdeen Angus steak sourced from English farms, accompanied by the highest quality service. If steak doesn’t take your fancy, make sure you peruse the seasonally written market menu, which offers the best in quality produce, entirely British-sourced. The chefs at Gillray’s are some of the most enthused and passionate about creating exciting and constantly changing menus to run in time with and complement the British seasons, working tirelessly to ensure that the produce is sourced sustainably and responsibly. Situated on the banks of the River Thames with views of the London Eye, there is no better location from where to enjoy your delicious meal. 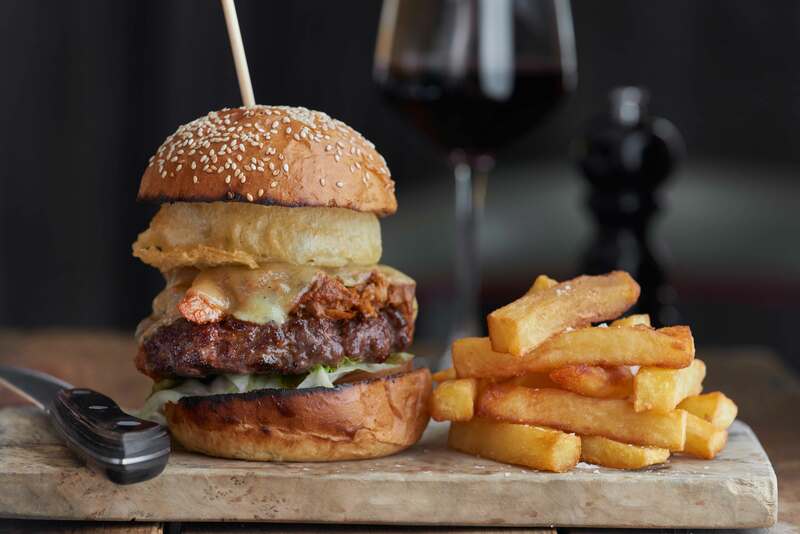 £29 for 3 courses plus the bartender’s signature cocktail or £22 for 2 courses. Enjoy scenic views of the London Eye during your hotel stay. Perched along the banks of the River Thames, just moments from Westminster Bridge, the London Marriott Hotel County Hall provides the backdrop for a truly remarkable visit. All of the hotel's rooms and suites have been completely refurbished to the highest possible standard, and offer contemporary decor, home-like amenities and incredible views of the London Eye, Big Ben and the river. Stay connected with high-speed Internet, rest peacefully on pillowtop bedding, relax in your marble bathroom or order 24-hour room service. Additional hotel perks include an indoor pool, a gym and complimentary fitness classes. Join Marriott County Hall to watch the TED 2019 Conference via livestream directly from TED's annual main conference. Perched along the banks of the River Thames, in the heart of London's South Bank, London Marriott Hotel County Hall provides the backdrop for a truly remarkable London experience, contoured by views of some of London's most prominent landmarks.